Busy mom I like Skip Hop products, this one is very nice too. It cannot stand on its own, it does not spring back or anything. Great surface for grasping though. mom of 4 yr old and 8 month old My Daughter loves it. 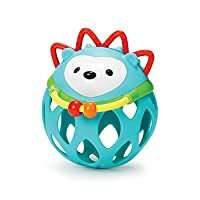 She chews on the "wings", the bottom holes are easy for her to put her fingers through and move around as she pleases, she likes to spin the balls on the wings. Its very entertaining! Maybe adding textures would be a plus for teething but overall its great! heather She loves grabbing and holding this toy. The beads are fun for her to chew on and this gives her more of an incentive to work on her hand eye coordination. It's alittle top heavy so I have to watch so she doesn't hit herself with it. first time mom She loves grabbing and holding this toy. The beads are fun for her to chew on and this gives her more of an incentive to work on her hand eye coordination. It's alittle top heavy so I have to watch so she doesn't hit herself with it. Gma from Wichita This was purchased from the gift registry...will not be used by me. The parents-to-be thought enough of it to add it to their registry. It is very cute and has plenty of places for the child to hold. Aidens mommy My son was born w hydrocephalus. Due to the surverity he has physical therapy eight times a month. 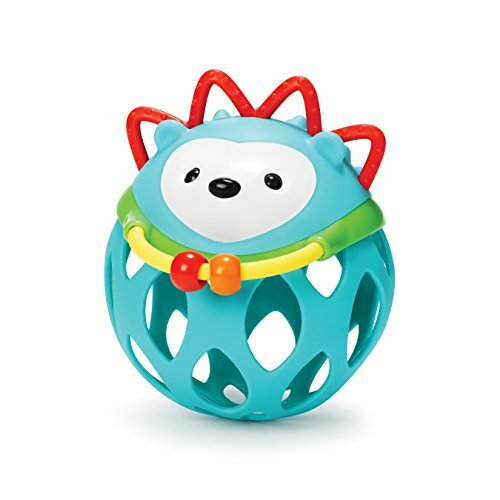 The bee is colorful, has a rattle inside & is easy for him to grab. He loves it. 1st time mon My 5 month old son loves this toy.. when I am bringing it to him his eyes light up and he gets the biggest smile. It'seems affordable, cute and easy for him to hold onto! Connor's Mommy Loved the flexible bottom that is easy to grip for little hands. Fun owl face to look at. ajt So cute and 4 month old loves it. Only con is it would be nice if the ears were softer for teething. She goes right for them.